Check out the seven participants in the Thrive Project for 2017. 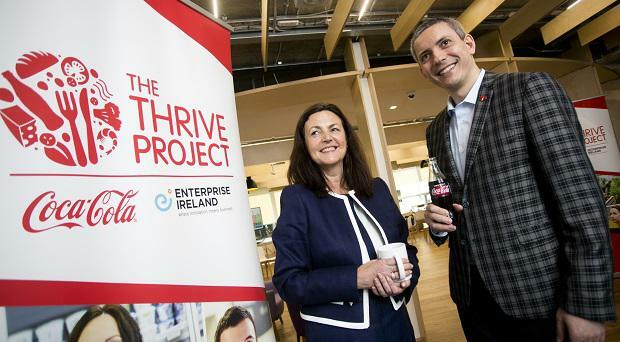 Seven of Ireland’s brightest business minds from the fastest growing food and drink start-ups in the country were selected to participate in the Thrive Project, a joint partnership between Coca-Cola and Enterprise Ireland. To launch the Thrive Project for 2017, the seven entrepreneurs were invited for an intense three-day bootcamp in Coca-Cola Headquarters in Atlanta. The programme will run for six months from June to November with a view to providing the seven start-up founders with insights, expertise and innovative ideas on branding, packaging and marketing from global experts at Coca-Cola. Enterprise Ireland will also award the participating companies a package of supports including access to a mentor and assistance in developing a robust business plan. The participants will be brought to London to take part in a marketing masterclass, meeting global experts on consumer insights and new product development. In another session, the entrepreneurs will meet the CEO of Innocent, the smoothie start-up that has grown to an internationally recognisable brand under the stewardship of Coca-Cola. Orla Battersby, Head of Food Division in Enterprise Ireland, welcomed the continued success of the Thrive Project, now in its second year: “We have received excellent feedback from the companies last year on how the programme encouraged them to have global ambition and look to new markets beyond Ireland and the UK”. This hand-held mini-meal snack pouch was developed by Fiona Keane from Tipperary incorporating all natural ingredients such as Greek yogurt, fruit and oats. This 'grab and go' product is aimed at adults with two flavours currently on offer with further products to be launched later this year. This start-up makes a range of healthy chocolate bars, confectionary and ingredients, designed not to spike your blood sugar. This gluten and lactose free chocolate is high in fibre and rich in Vitamin E. It is already stocked in Musgrave stores, expanding to other Irish multiples this year. Thought up by entrepreneurs Sarah O’Connor and Isolade Johnson, Cool Beans is a new take on traditional baked beans with their beans coming in a arrange of innovative flavours. The company has been running since 2012 and has an impressive social media following. Mixing Greek yogurt, fruit and granola, Everest produces a range of granola cups in three flavours for breakfast on the go. Seamus who launched the business is still only in his mid-twenties, he started this successful ‘grab and go’ business with limited resources. 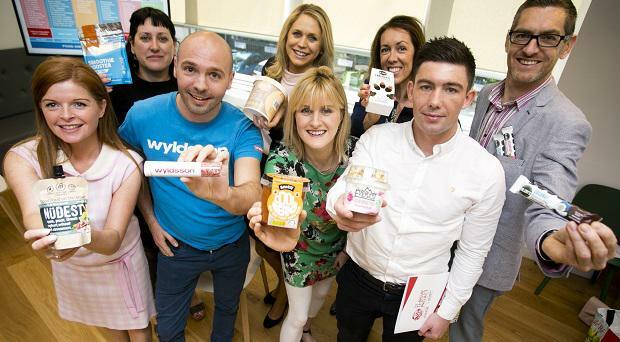 Roisín took part in BBC hit reality show The Apprentice and it acted as a launchpad for her noodle-based ready meal brand, Hiro by Roisín. Made from the flour of the Asian konjac vegetable, the noodles are low in carbs and calories and come in four varieties. David McGeady’s company sells his range of premium health foods and snacks exclusively online. His core product is a range of trail mixes in 10 different varieties, packaged in a tube so they are easy to eat on the move. The company has extended to breakfast products like nut butters and granola. The business started off sourcing, packaging and creating single ingredient health food products like chia seeds and bee pollen but now also develops and manufactures their own high range products such as protein powders and cacao hot chocolate. They are already stocked in 600 stores in Ireland.